Last weekend, the Kitchen Table Bistro celebrated its 11th birthday. To mark the occasion in my own way, I partook of the restaurant's greatest deal. After years of being closed on Sundays, the fine-dining establishment is now not only open but serving prix-fixe dinners of three courses for $30. How great a deal is this? Two of the entrées on offer last Sunday cost $26 à la carte. That meant that my appetizer and dessert cost $2 each. 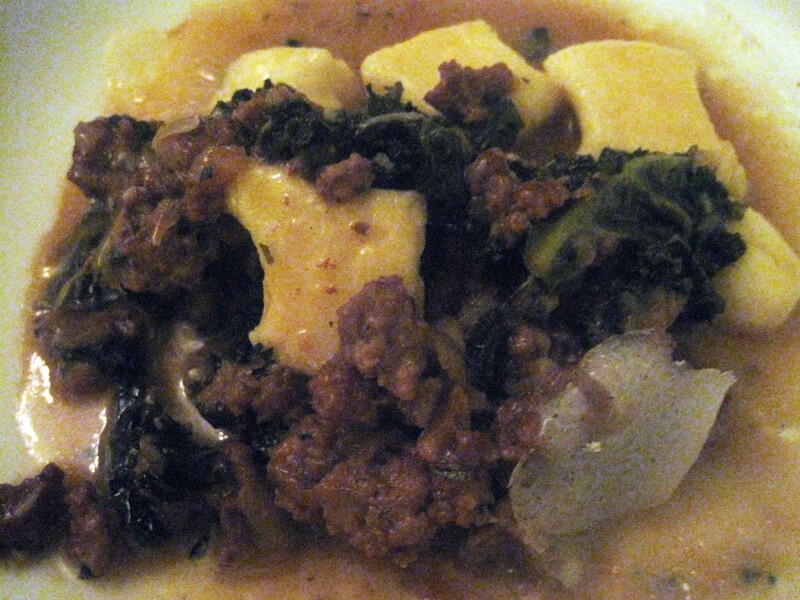 That included the plate of gnocchi at right, normally priced at $12. Twice James Beard Foundation Award-nominated chef Steve Atkins excels at crafting cloudlike ricotta dumplings, but that evening's version was the most delicious I'd had in 11 years of dining there. Though not the most attractive plate of food, the ground pork, kale and shaved Parmesan amounted to far more than the sum of its parts. The sauce was a garlicky umami bomb that left me sopping up every trace with the warm sourdough provided just before our appetizers arrived. 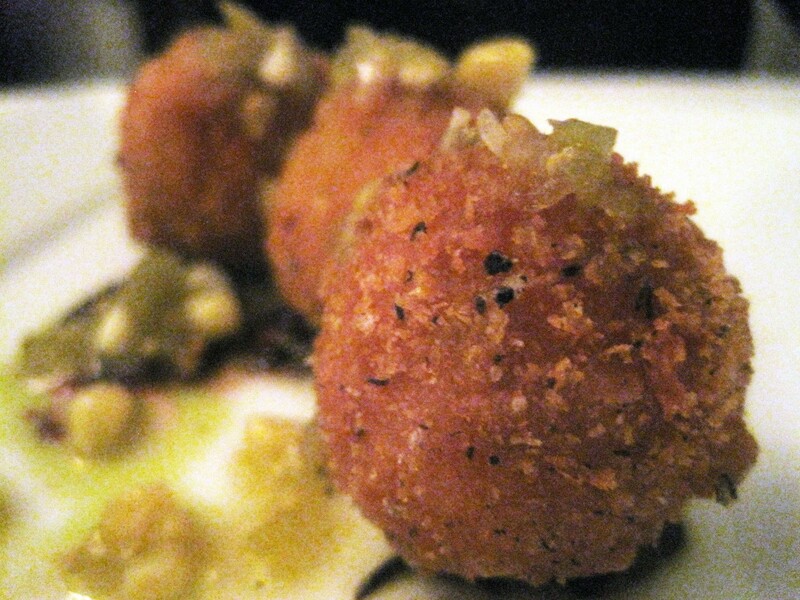 Many fine dining chefs seem to have left arancini back in the '90s where they found them. Atkins knows better. His crisp croquettes were small enough to be nearly equal parts fried coating and tender, cheesy rice. Tangy corn relish and intense, nutty blobs of deep-brown beet-green-hazelnut pesto made the plate far more exciting than just an attractive trio of fried rice balls. In fine-dining situations, I often avoid steak as much as I do chicken. To many chefs, it is simply something to satisfy fussy, meat-and-potato eaters. 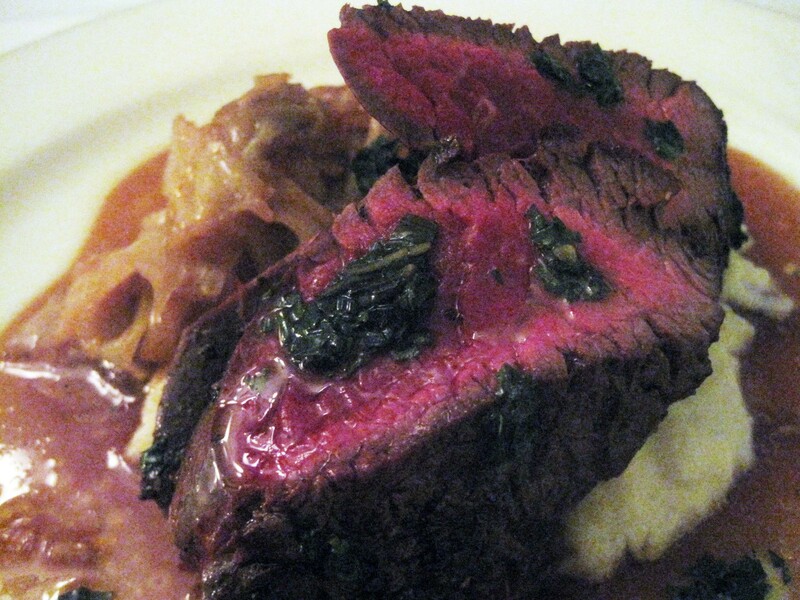 But the usually $26 LaPlatte River Angus Farm hanger steak was such a great deal, my penny-pinching sensibility practically demanded I order it. I was so glad I did. The medium-rare meat was buttery-tender and satisfyingly beefy. There was no question that I was tearing into the flesh of an animal — a delicious one. But even my steak-eschewing dining partner couldn't help but delight in the meat and its topping of herbed butter, which blended with a pool of garlic jus on the bottom of the plate. That ideally balanced jus also added flavor to an ultra-creamy mash of cauliflower and red potatoes and supple strands of cabbage. 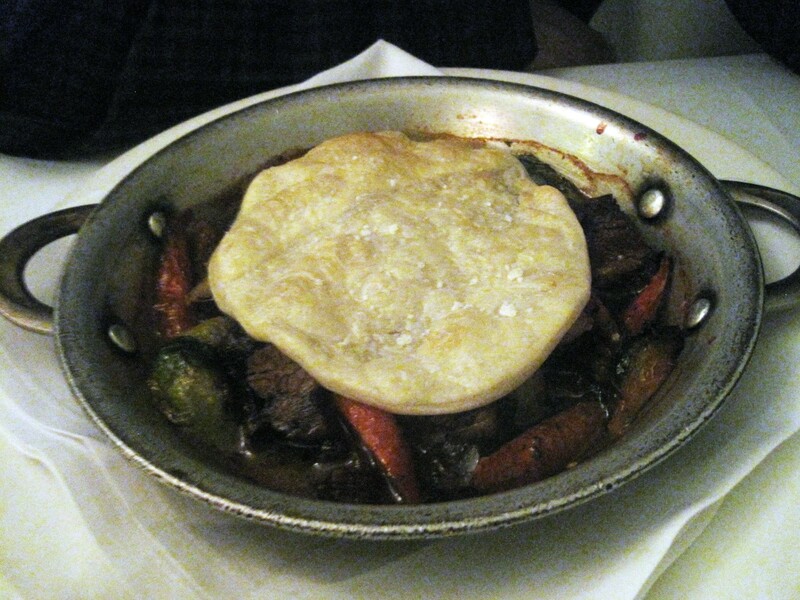 My dining partner was equally enchanted with the beef-cheek-and-short-rib pie. The fatty meats were flavorful on their own, and the carrots and Brussels sprouts within were caramelized to perfection. But something was missing. As a whole, the dish required just a touch more seasoning, a hint more acid ... something to make it equal the big flavors of Atkins' other dishes. Another Atkins got her chance to shine with the final course: pastry chef Lara Atkins, Steve's wife. The dessert above was as delicious as it looked. The highlight was a single scoop of exceptionally smooth ice cream that deftly balanced potentially-too-sweet white chocolate with strawberry. 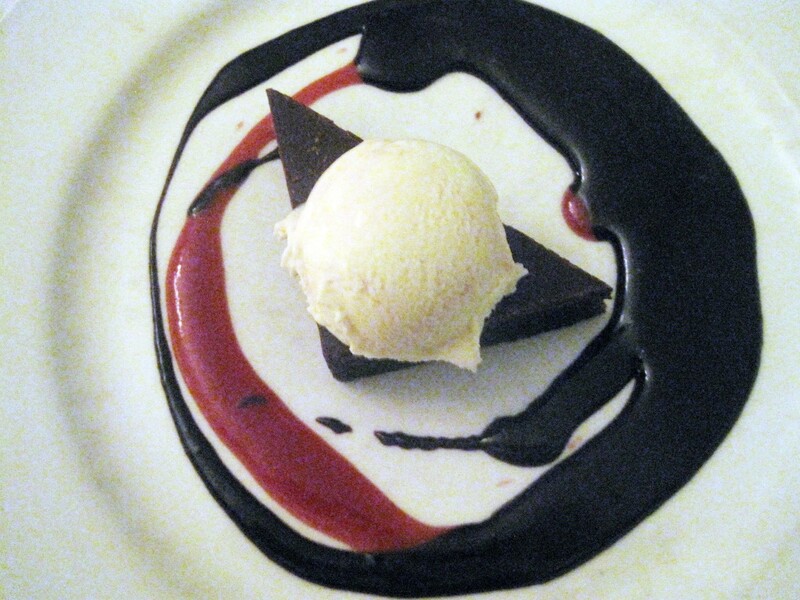 I would have been more than happy with just the ice cream and ravishingly dark, warm chocolate sauce. But I didn't ignore the dense, ganache-capped triangle of cake. 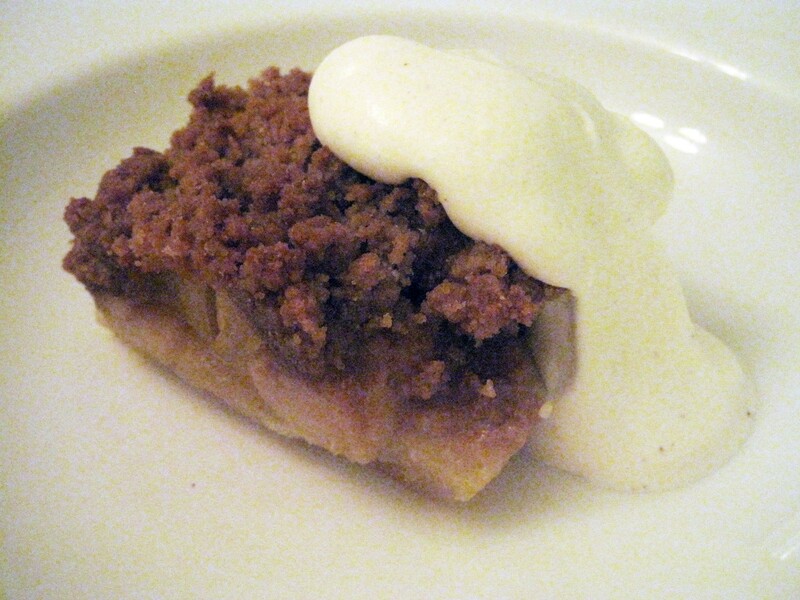 My dining partner, something of an apple-crisp specialist, was bowled over by the thick layer of streusel and sturdy, not-too-sweet apples. Atkins made the often-saccharine, homestyle dessert into an upscale, well-thought-out dish with an eye for subtlety — and a dollop of spiced whipped cream. Yes, each of us paid nearly the full "Alice Eats" limit for our meals. But for budget eaters, there's little chance of scoring a better fine-dining deal than a Sunday-night supper at the Kitchen Table Bistro.